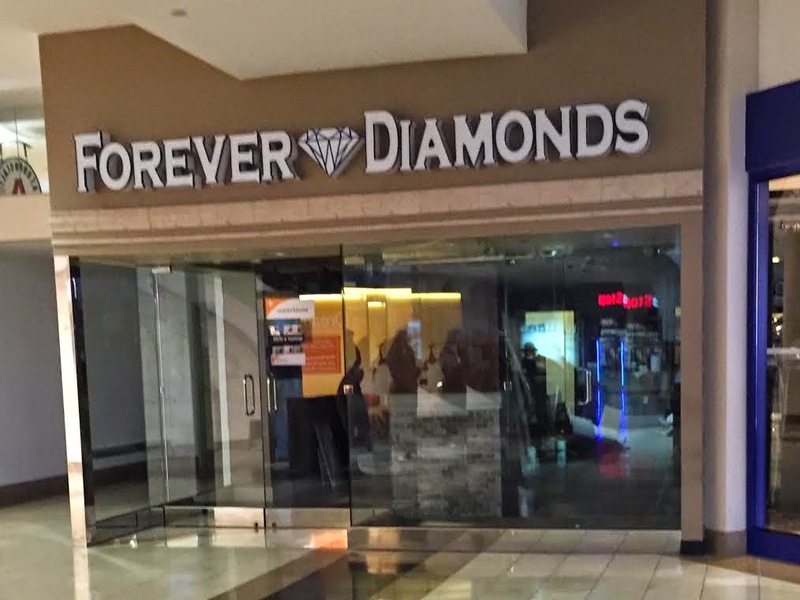 Forever Diamonds has closed its location just outside Bloomingdale's on the lower level of Lenox Square. The store is situated between Aeropostale and Champs Sports. Atlanta-based Floor & Decor opened its newest store last week in McDonough. The new store is located on Towne Centre Village Drive as I first reported last spring. Another new location is slated to open later this year on East Victory Drive in Savannah. The next Boutique Bargains Warehouse Sale will be held January 23rd & 24th at the Shops Around Lenox. The annual sale will feature merchandise from twenty-three Atlanta boutiques with reported savings of 30-70% off retail prices. A new Zaxby's is coming to Peachtree City. The new Zaxby's will be built on Joel Cowan Parkway (Georgia Highway 74) across the street from an existing Chick-fil-A and about a mile from Star's Mill high school. On a recent trip to Duluth I noticed that Sweet Talk had changed its name to 720 Cafe. The Asian cafe and bakery opened last summer at Gwinnett Market Fair, near the intersection of Satellite Boulevard and Pleasant Hill Road. Across the street, Sweet Hut, a similar establishment, plans to open later this spring. Sweet Hut is an established name in Atlanta area with locations in Chamblee and midtown, whereas Sweet Talk was a new business. According to a source, there was a legal dispute between the two businesses that led to the name change. The new name, 720 Bakery, relates to the cafe's suite, #720, within the shopping center in which they are located. This change reportedly took place "a few months ago." A new La Madeleine is reportedly no longer happening at Emory Point phase 2. No explanation was given for the restaurant's decision to pull out, but there are reportedly "multiple interested parties" now in discussions for the space. Midtown nightclub / lounge combo Vanquish & Reign have both closed. Their closures occurred seemingly unnoticed over two months ago. At least one production, BET's "Being Mary Jane" has filmed at the club post its closure but not much else has gone on at the once popular nightlife establishments. Both Vanquish & Reign opened in 2011 and are owned by Atlanta-based The Gidewon Group. Meridith Ford is now working with Riccardo Ullio and his U Restaurants. Ford was previously a dining critic at the AJC, and later Editorial Director at the Atlanta-based public relations firm The Reynolds Group. Last February, Ford was named Director of Marketing & Communications at Here to Serve Restaurants, a job she held until a few weeks ago. In her new role, Ford tells me she is working on PR and marketing efforts in addition to working as a pastry consultant/chef. Ullio's newest restaurant Novo, a casual Italian eatery, should open in the coming months in Dunwoody. Ace Hardware has opened its newest location at Juniper & 7th Streets in midtown. The roughly 5,400 square foot store is located at 860 Juniper Street in the street level of the SkyHouse South apartments. Marco's Pizza plans to open a new location at 800 North Highland Avenue in Virginia Highland. The pizza shop will open in a portion of the larger space that once housed both Ben & Jerry's and Starbucks. Community Smith, "a protein-centric" neighborhood restaurant helmed by Chef Micah Willix, plans to open January 28 at the Renaissance Atlanta Midtown. For those who have lost track, let me clear up a few things. Chef Willix spent over 5 years as Executive Chef at midtown favorite Ecco before departing in 2011 to become Executive Chef at short-lived Phipps Plaza restaurant Latitude. Since Latitude's closure, Willix has been consulting with Community Smith marking both his return to midtown and his return to full time employment in the restaurant world. Community Smith was most recently Briza, but opened in 2009 as Pacci. The current Renaissance also opened in 2009 but as a Palomar Hotel, a boutique hotel from Kimpton, now a division of IHG. The terrace space, which opened as Alto Rex and later was renamed Rooftop 886, will also be transformed. "The Garden at Community Smith" will open on March 20 and will serve a separate yet similar menu. Kevin Gillespie announced yesterday that his next restaurant will be in Decatur and will be named Revival. The new restaurant will occupy the former Harbour House Pub on Church Street which closed last month. Revival "promises a fresh take on the traditional, family-style Sunday dinner, with a focus on farm-raised and artisan-prepared ingredients" according to an official release. The release went on to say "We hope to showcase the dishes with a passion and precision that is largely unavailable currently.” I'm not sure what that means. "Revival’s menu will offer a blend of meats, fish, and fresh vegetables, with seasonal options that change daily." Revival is slated to open in early June. Kevin Gillespie rose to "celebrity chef" status during his appearance on season six of Top Chef. on which he was named "Fan Favorite." Then Executive Chef / Co-owner of Woodfire Grill in Atlanta, Gillespie later left to open his first restaurant Gunshow in Glenwood Park in 2013. Gillespie has been working on opening a barbecue restaurant called Terminus City Barbecue for over a year now, but has seemingly been unable to find the ideal location. Any new update on what is going in front of Target on Cobb Parkway? Cafe 720 is not a Korean bakery... It is a Taiwanese/Chinese bakery like Sweet Hut.